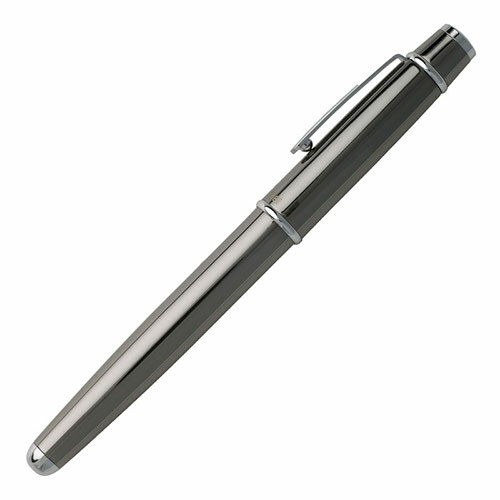 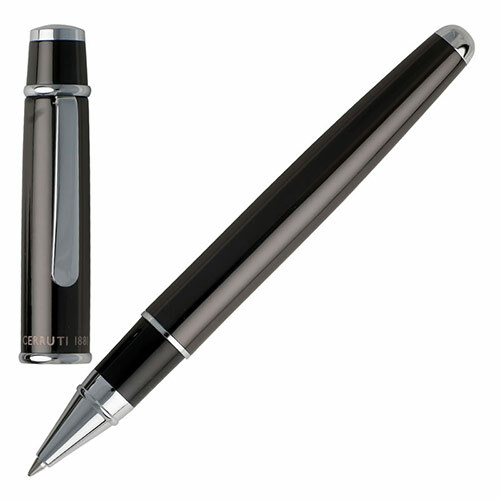 These elegant rollerball pens from Cerruti 1881 combine a simple form with elegant gun-colour plating with chrome details. 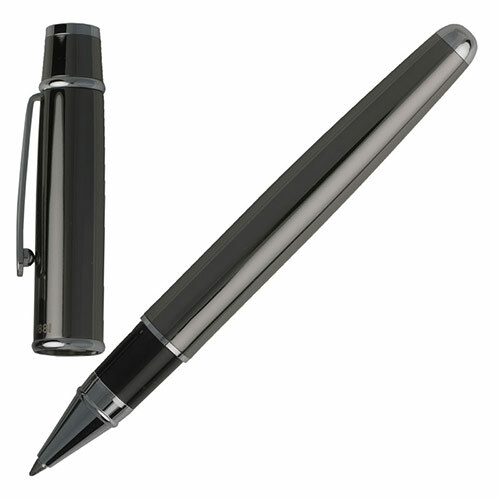 They are supplied in a Cerruti branded presentation box and offered with text and/or logo engraving options. 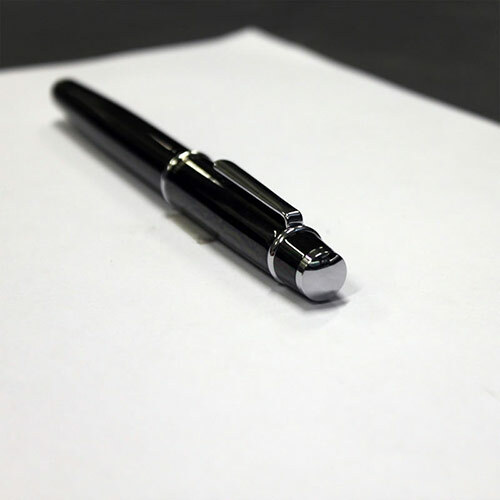 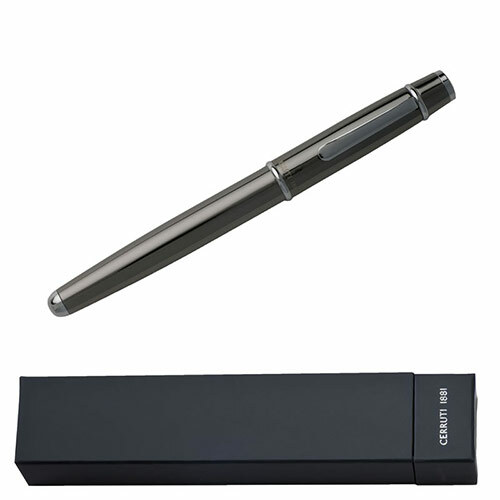 These Cerruti rollerball pens take a Schmidt Technology cartridge and are supplied with one black ink cartridge.